The Orchard is a variety gift pack made and shipped by us from our organic farm-grown fruits. 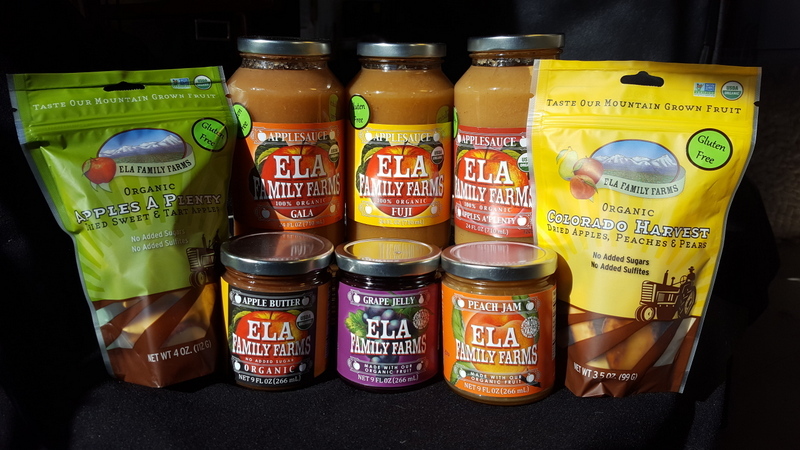 It includes: 2 varieties of our season's best homemade jams or jellies; 1 jar of our delectable Apple Butter; 1 bag of our Colorado Harvest mixed dried fruit and 1 bag of our Apples Aplenty dried apple medley; 3 jars of applesauce including 1 Apples Aplenty (medley) and two single-variety artisanal varieties. Everything is made with actual fruits we grow, nothing artificial added. We are happy to include a handwritten copy of your personal or business message for free. At checkout you can add the extra option for us to gift wrap too!